The pommelo tree may be 5-15 m tall, with a somewhat crooked trunk 10-30 cm thick, and low, irregular branches. Some forms are distinctly dwarfed. The young branchlets are angular and often densely hairy, and there are usually spines on the branchlets, old limbs and trunk. The leaves are alternate, ovate or elliptic, 5-20 cm long, leathery, dull-green, glossy above, dull and minutely hairy beneath. 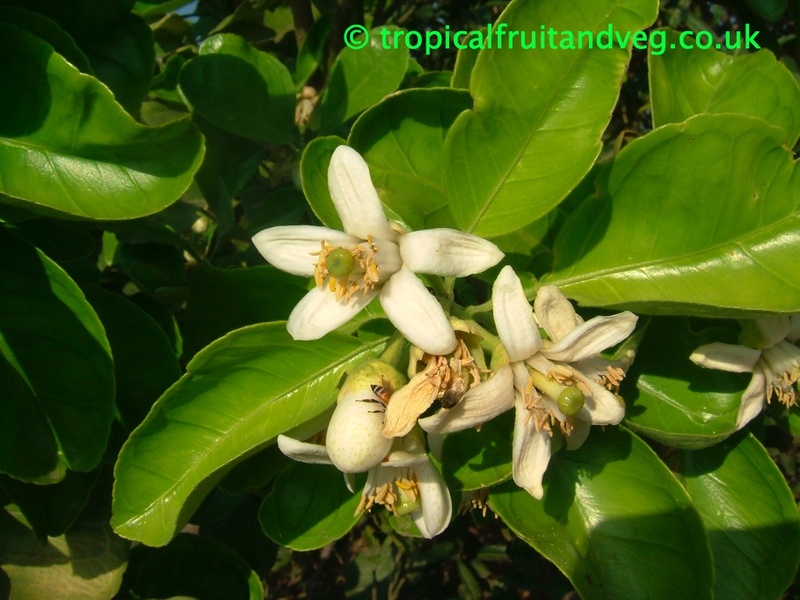 The flowers are fragrant, borne singly or in clusters of 2 to 10 in the leaf axils. 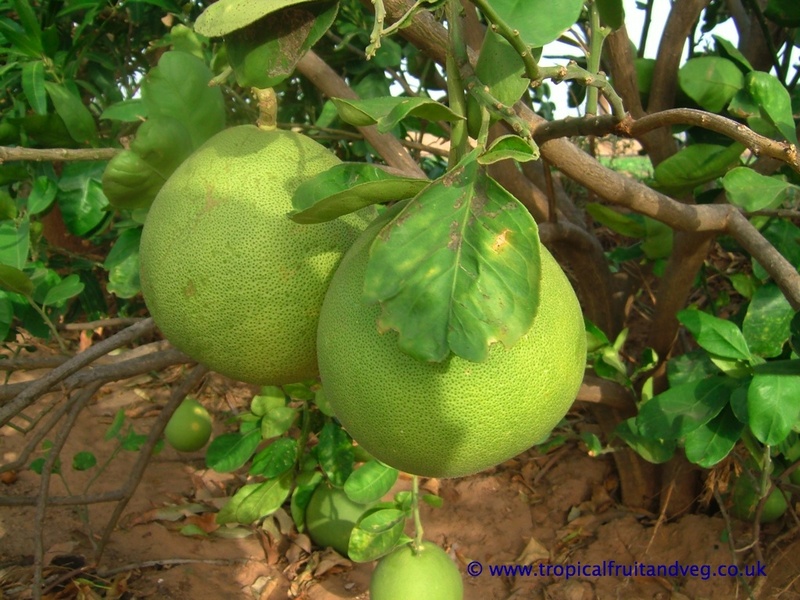 The fruit ranges from nearly round to oblate or pear-shaped; 10-30 cm wide; the peel, clinging or more or less easily removed, may be greenish-yellow or pale-yellow, minutely hairy, dotted with tiny green glands. 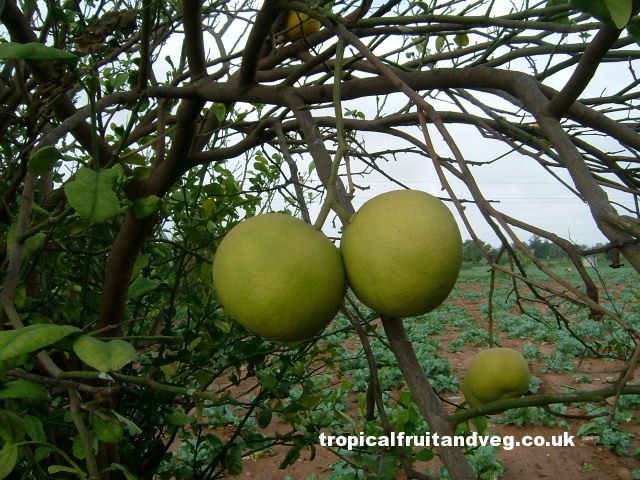 The pummelo is tropical or near-tropical and flourishes naturally at low altitudes close to the sea. In the prime growing region of Bang Bakok in southern Thailand, the mean temperature is 28�C and mean annual rainfall is 56 in 143 cm. The pommelo revels in the rich silt and sand overlying the organically enriched clay loam of the flood plain, and that it is highly tolerant of brackish water pushed inland by high tides. 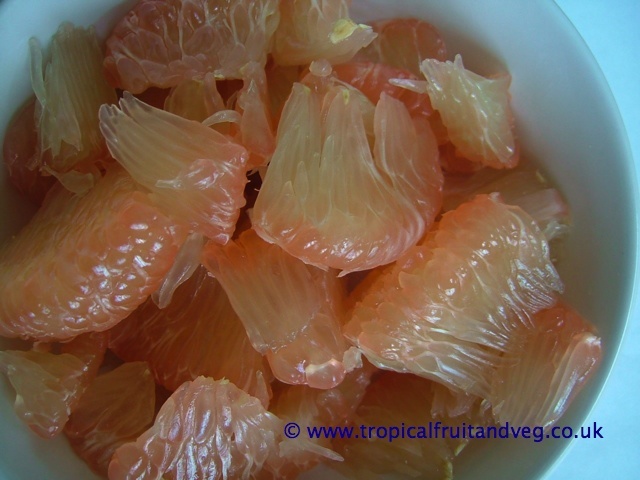 It is claimed that salt contributes to the flavour and juiciness of the fruits. The salt content of the water varies throughout the year but may be as high as 2 % at times. 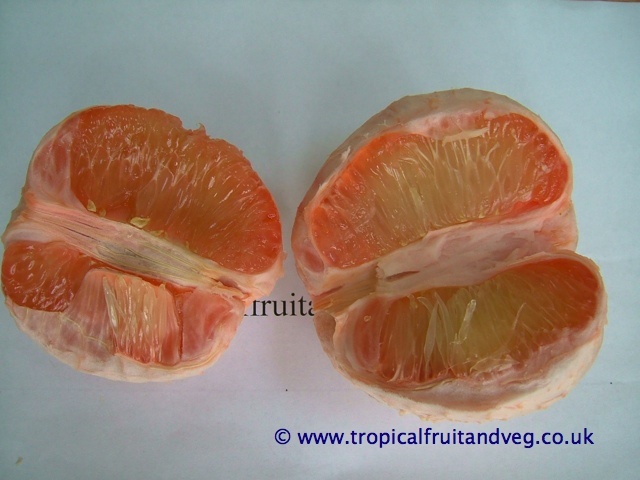 Though the seeds of the pommelo are monoembryonic, seedlings usually differ little from their parents and therefore most pommelos in Asia are grown from seed.